Benidorm airport bus is a busy route, buy your ticket in advance for peace of mind! IF YOU ARE TRAVELING TODAY THE ALSA express BUS IS YOUR CHEAPEST & FASTEST OPTION arriving in central Benidorm in just 45 minutes. YOU CAN BUY A TICKET ONLINE HERE. FOR LAST MINUTE (UP TO 24hrs BEFORE TRAVEL) you can also book BENICONNECT shuttles. Click on "BUY AN ALSA BUS TICKET below and Search for "Alicante Elche Airport" and destination "Benidorm Spain*". For the centre of Benidorm book "Benidorm Avd. Europa" as the drop-off stop. Online express bus tickets with a seat reserved cost 9.65€ one way or 18.35€ return plus their processing fees of 1.80€ each way. The total price is €11.68 one way or 21.95€ return including fees (the price is the same as booking direct with ALSA). Have your passport number handy, you will need to enter this as ID when booking and show the driver when boarding. Your E-ticket is sent by Email, no printing needed. 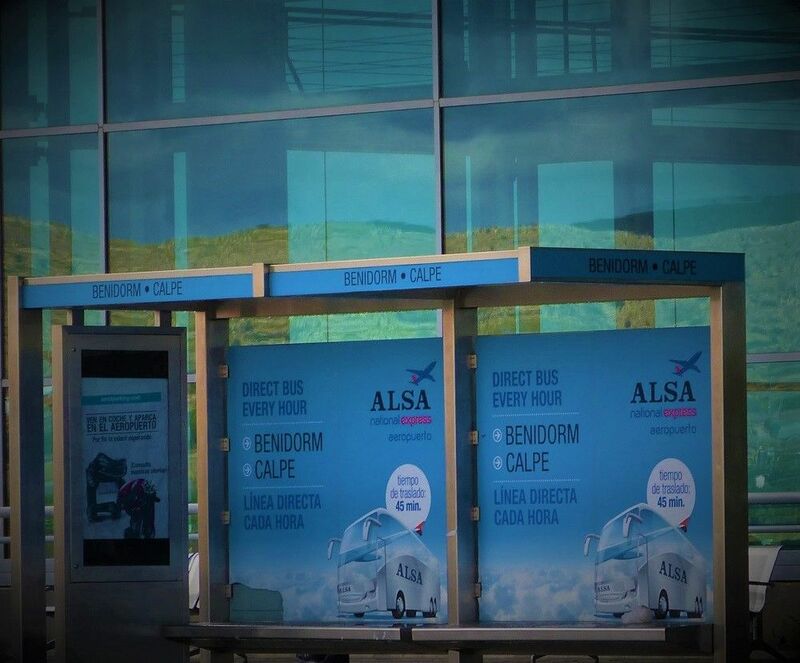 Where is the ALSA BUS STOP at Alicante airport and in Benidorm? The ALSA Bus stop is located outside the departures hall, up one level from arrivals. The stop is outside to the right at the far end of the terminal building. For peace of mind buy in advance for this busy route, however, it is possible to pay the driver in cash if you are unable to pre-book. From Benidorm to the airport the bus departs from the Estación de Autobus, or from Avenida Europa, Playa Levante in central Benidorm. For Albir*, Altea* and Calpe* *change at Benidorm bus station for local bus services. If ALSA BUS does not suit your travel plans a private door to door transfer can be booked from 60€. Daily Bus timetable from Alicante Airport (ALC): Journey time is 45 minutes. The ALSA (part of National Express) nonstop express BUS between Alicante airport and Benidorm winter service runs 12 times daily and 13 times Monday to Friday. Arrive at Avenida Europa, Playa Levante in central Benidorm in just 45 minutes. 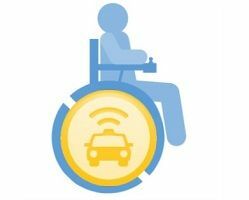 As there are only two stops, this service can be up to an hour faster than Alicante airport shared shuttle transfers! The fast ALSA bus stops first at Benidorm Estación de Autobus, where you can change for Valencia regional and local buses to Albir, Altea, Alfaz del Pi, Calpe, Cala Finestrat, Finestrat Pueblo, Relleu, Sella, Orxeta, Villajoyosa, Guadalest and Polop. IF YOU ARE GOING TO CENTRAL BENIDORM (LEVANTE) BOOK YOUR TICKET TO THE "AVENIDA EUROPA" STOP, where you can easily pick up a cheap local taxi to your hotel. Economy & Express Shuttles from 7.90€.